We are pleased inform you that the Singapore Scout Association (West Area) will be organizing a Leadership Development Course for Scout, Venture and Rover members. This course will help to train your scouts, ventures, rover or even leaders on the basics of event/activity planning in stages, to help break down event planning into manageable bite size and a lot less daunting. They will also learning the tools they will need to implement projects and how to properly close the project with feedback and review. 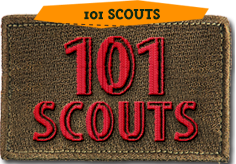 A registered Scout (aged between 15-17 years old) who is a Senior Patrol Leader or Troop Leader within the unit. A registered Venture or Rover (aged between 15-25 years old) who is going to be appointed as activity or event planner in 2017 for their Unit or Area. 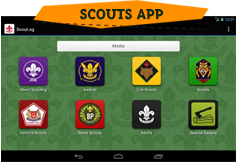 All registration is to be applied through the Scout Membership portal under Scout Youth Programme Registration (http://intranet8.scout.org.sg/Content/default.aspx) by the closing date 18th February 2017 before 5PM. All modes of payment (cheque, payment by Scout Fund or IFFAS) should be made payable to ‘The Singapore Scout Association’ and please indicate purpose as “West Area Skill Course (Event Planner’s Module) 2017”.